Experience 100% more creativity with SoHo Double Ended Markers! SoHo Urban Artist Double Ended Markers are brimming with rich black, fade and water-resistant ink. Specially formulated to be permanent on all porous surfaces, it is also permanent on most semi-porous and hard surfaces. Dries quickly for immediate use. 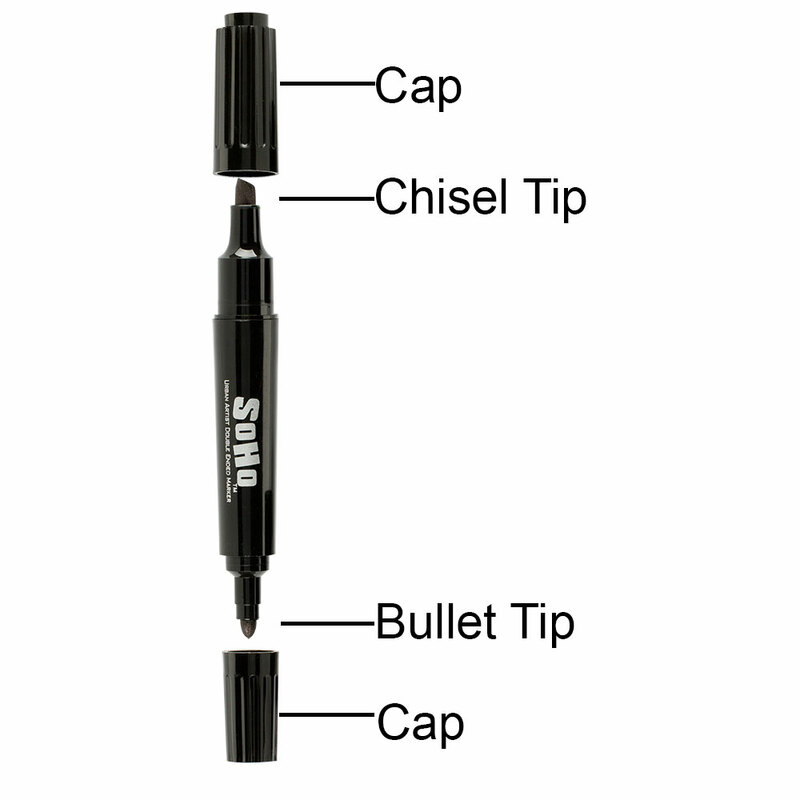 SoHo Urban Artist Markers have two uniquely shaped nibs, one bullet style shape for fine details and precise lines, and the other a chisel style nib for broad outlines and quick fill work. Packaged in a 3-Pack, perfect for labeling, drawing, and indoor or outdoor use.